Plato was born about 429/428 BC and is known for his belief that spirit is good but matter is evil. Plato’s teachings became the foundation for a school of thought called Gnosticism, and there were some first century Gnostic teachers who said that Jesus could not possibly have lived in human form because matter is inherently evil. Some contemporary believers still believe the earth and matter are evil, therefore unimportant and not worthy of good stewardship and preservation. So drive a Hummer or pour your used oil down the storm drain – “No matter, God’s going to blow this evil world up anyway.” At the other extreme are those who say that one should live a monastic life in order to avoid ‘rubbing’ shoulders with an evil world. Epicurus was born about 341 BC, about a century after Plato. Epicurus believed that gods created the universe but were disinterested in its well-being. Thomas Jefferson was Epicurean, and Deist, in his belief that God wound up the universe and flung it into space. You can see how this view would impact one’s view of prayer, divine interest in the creation, etc. Other philosophers influenced our view of God’s character, some saying that God is immutable which means he cannot mourn or have regrets because that would signify a change in Him making him imperfect and changeable. This view exists despite the many references to God’s mourning over his creation and repenting that He had made mankind. Saint Augustine of Hippo is a good example of the way influence evolves. Augustine lived from 354-430 and is widely regarded as one of the most influential Church Fathers in the West. He was heavily influenced by Plato, and his writings reflected this. John Calvin (1509 – 1564), one of the fathers of the Reformation movement was influenced by Augustine and Neo-Platonism, and so on. Philosophies such as Platonism and Epicureanism often lie under the surface of our beliefs, silent and undetected. The little church where I was raised was full of well-meaning people who, though denying it, were the product of generations of philosophical silt which built up and formed the shores of our belief system. Assumptions being what they are, there is no substitute for constantly examining and re-examining what we believe. 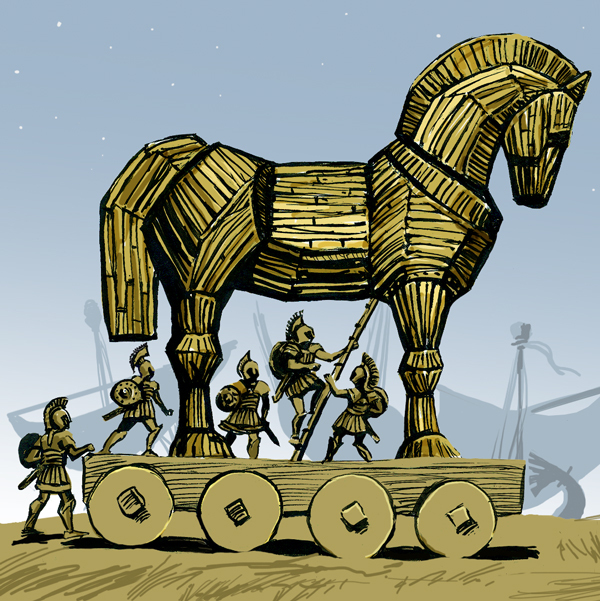 It is the only way faith can remain fresh and untainted by generations of influence that act like a Trojan horse.